On Tuesday, residents of Pakistan witnessed the deadliest Taliban attack in the nation's history. At least seven gunmen stormed the military-run Army Public School in Peshawar, killing 141 people and wounding over a hundred more. According to the Pakistani military, more than 130 of the people killed were schoolchildren. Pakistani officials believe the deadly attack, which took the high school under siege for hours as the gunmen opened fire and detonated home-made explosives, was motivated by recent military operations against terrorist targets in the country. But the Pakistan Taliban has long terrorized the country's governments and its people, as the terrorist group tries to enforce its oppressive beliefs. The Taliban, much like the terrorist group Boko Haram in Nigeria, opposes Western-style education for boys and men, and believes young girls and women shouldn't receive any education at all. The group's violent tactics against girls and women in Pakistan received worldwide attention in October 2012, when then-15-year-old Malala Yousafzai, an education rights activist, was shot in the head by a Taliban member while on her way to school in the Swat Valley. Yousafzai — or simply, Malala, as we all know her — became the symbol of gender equality and girls' rights in Pakistan, her work earning her the Nobel Peace Prize in 2014. Although she now lives in England, Yousafzai has continued her work in education rights for girls in Pakistan and beyond through The Malala Fund. Her fund currently runs the advocacy campaign #TheLast, which is dedicating to seeing the last girl be denied an education, forced into child marriage, or work in a factory. 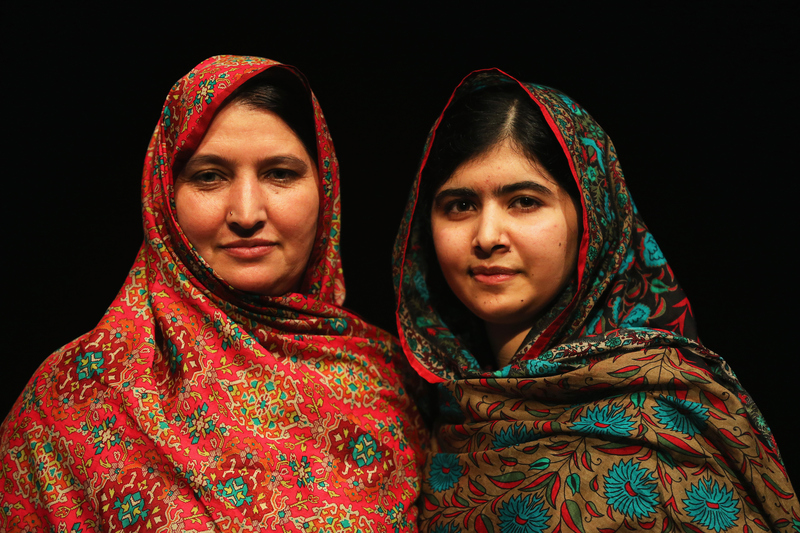 The Malala Fund states that it hopes to see the end of these abuses in 2015. How you can help: You can take action by signing a petition on The Malala Fund website, or share the stories of Yousafzai's peers on social media with the hashtag #TheLast. If you're in the generous mood —it is the giving season, after all — you can donate directly to The Malala Fund or even set up your own fundraising page. The United Nations Educational, Scientific and Cultural Organization has a division in Islamabad, Pakistan, focused on bringing education to all children in the nation, as well as eradicating illiteracy throughout Pakistan. UNESCO Pakistan also works with UN-Women, UN Inter-Agency Group on Gender Equality to ensure that Pakistani girls have an equal opportunity to receive an education. How you can help: You can donate directly to UNESCO. The organization also works with The Malala Fund, and even helped Yousafzai launch her new campaign. How you can help: You can sign the petition to end the gender technology gap and bring equal access to technology to women around the world. You can also donate directly to the Global Fund for Women, or join the Safe World for Girls campaign to help girls and women escape countless forms of violence.